The Last Airbender (Jin, Zuko, and Iroh). Zuko drinks 茶 from Jin.. HD Wallpaper and background images in the 隆世神通：最后的气宗 club tagged: zuko iroh jin. 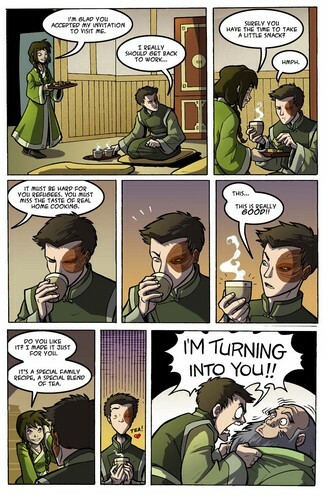 Zuko drinks 茶 from Jin. This 隆世神通：最后的气宗 fan art might contain 动漫, 漫画书, 漫画, 卡通, and 漫画卡通. 随意 and Amazing 阿凡达 Facts 你 Never Would Have Guessed!